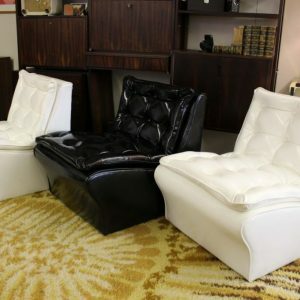 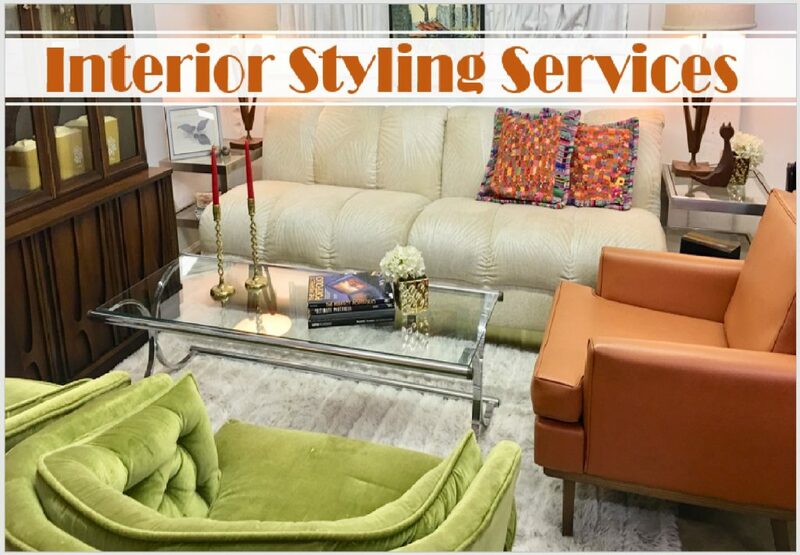 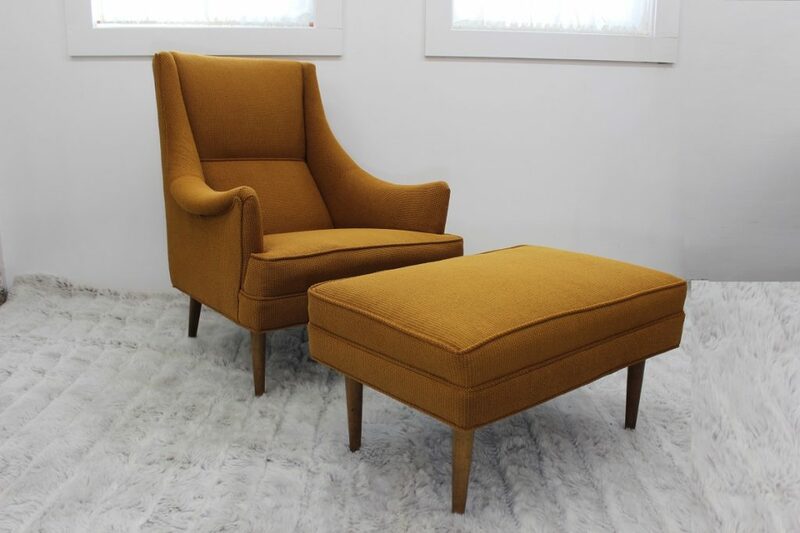 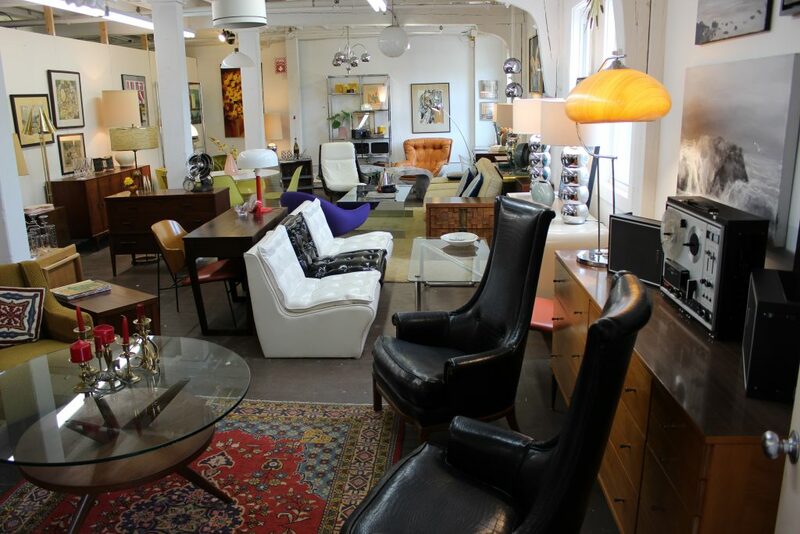 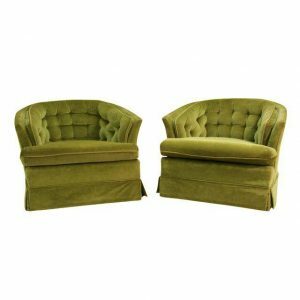 This is a beautiful upholstered arm chair and ottoman. 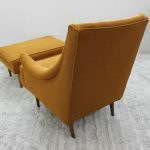 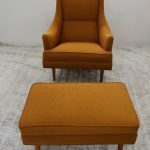 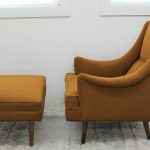 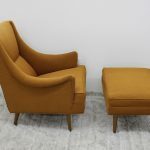 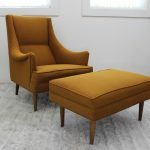 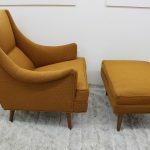 The clean lines with subtle details like the slightly wider arms and the very slight angle on the chair so you can comfortably put your feet up on the ottoman and forget about the day you had at the office. 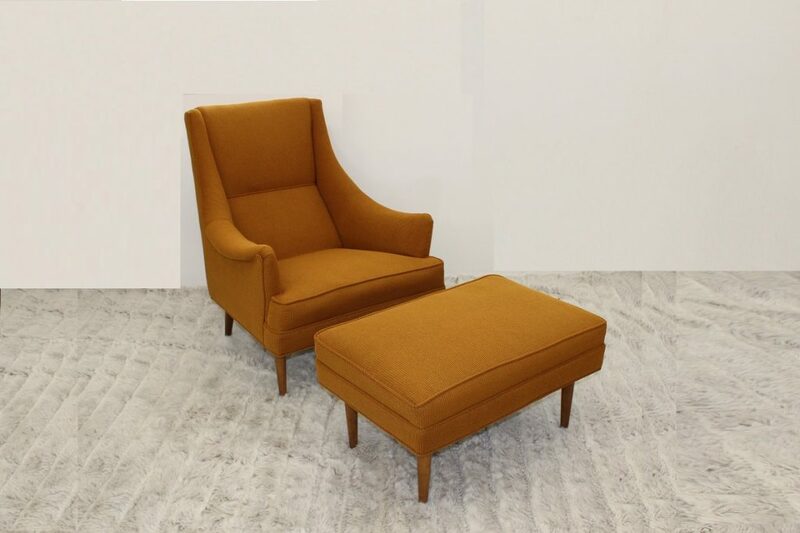 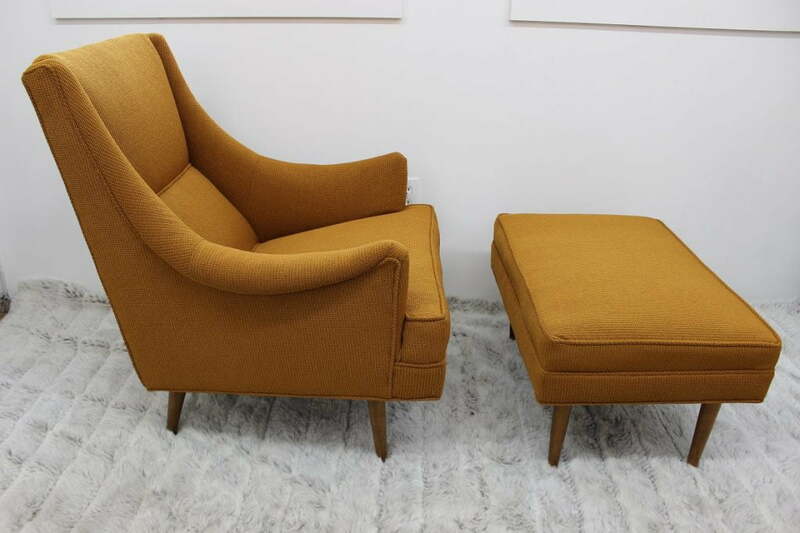 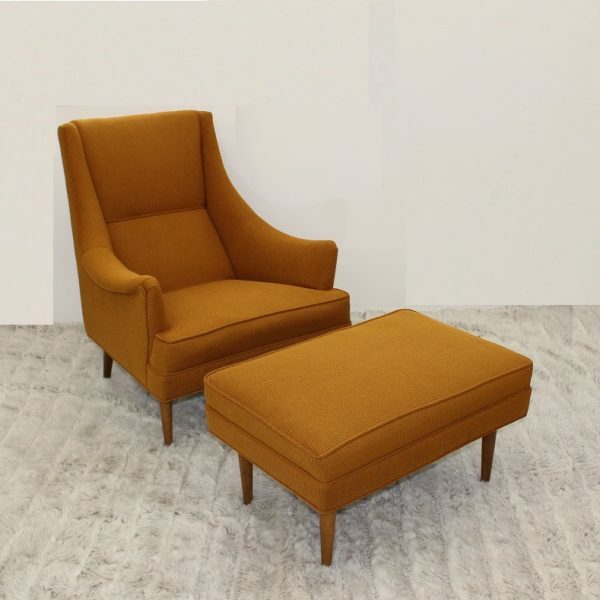 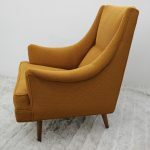 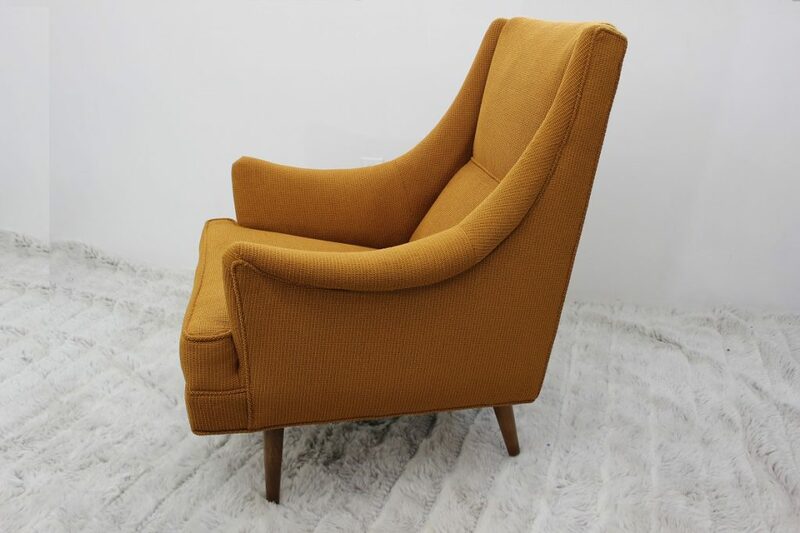 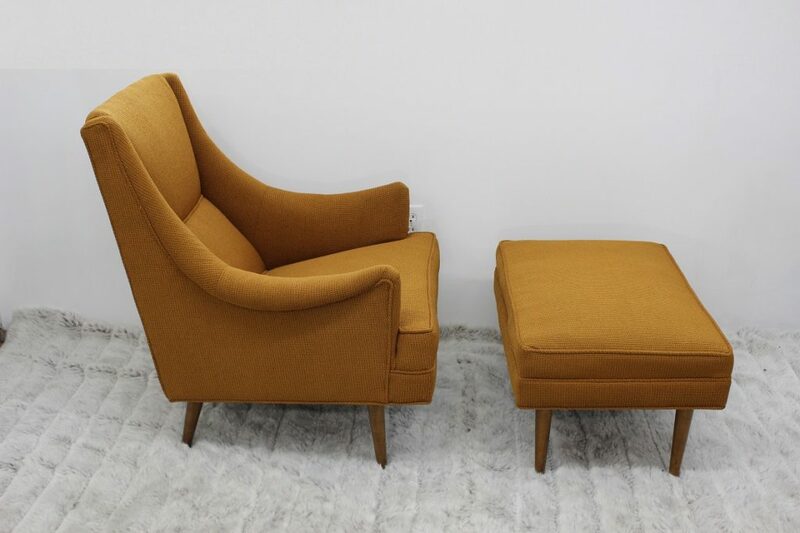 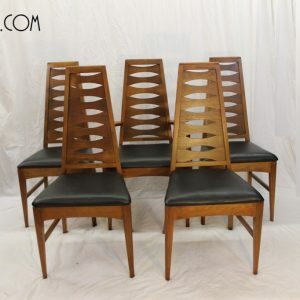 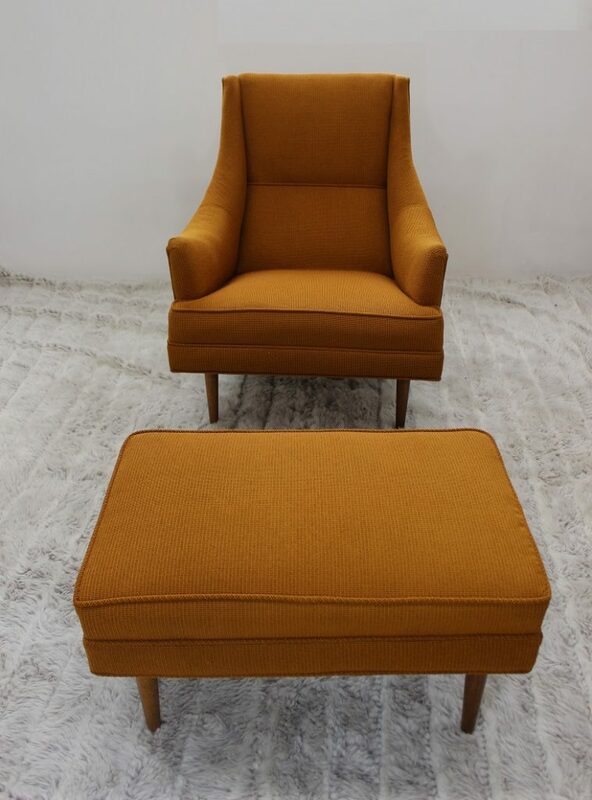 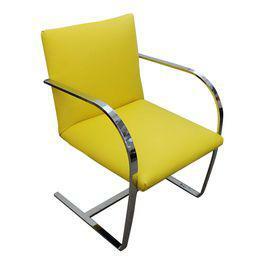 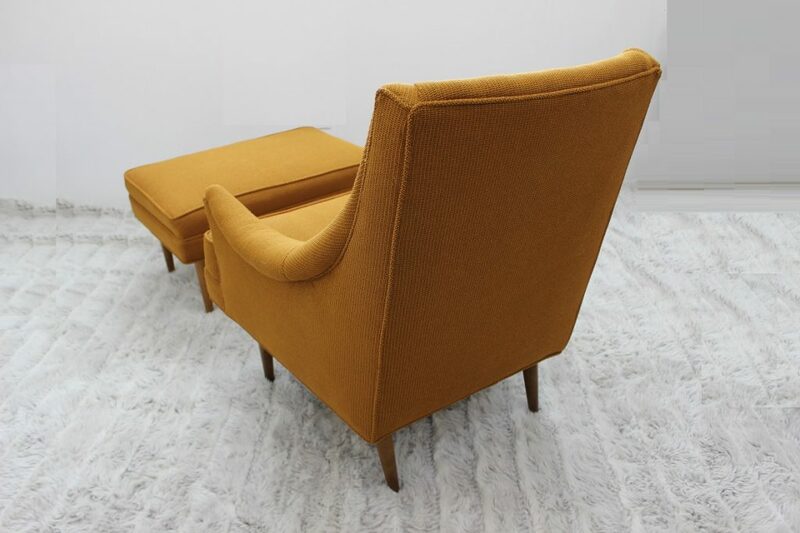 This beautiful chair was designed by Milo Baughman for James Inc. 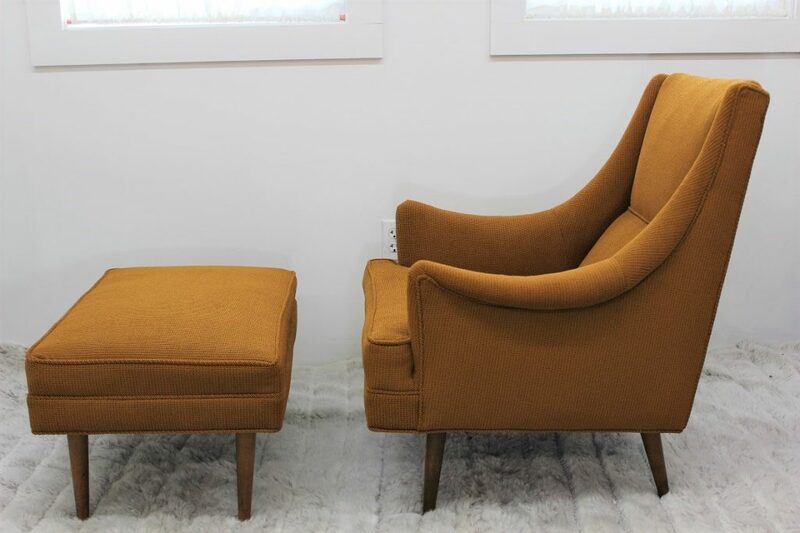 This beautiful chair is 33″ by 27″ arm to arm, and 16″ to the seat. The ottoman is 24″ by 18″.